Washington state will consider allowing small cannabis farmers to sell directly to consumers, similar to what’s allowed for wineries, breweries and distilleries, according to the state’s top marijuana regulator. The move, if approved by regulators, would give smaller growers a financial shot in the arm through increased sales – and could spur other states to follow suit. Washington also would be following the lead of a few Canadian provinces that allow licensed producers to sell marijuana to consumers at cultivation facilities. Rick Garza, director of the Washington State Liquor and Cannabis Board, spoke this week to the Cannabis Collaborative Conference in Portland, Oregon, and was joined by Steve Marks, executive director of the Oregon Liquor Control Commission. Both marijuana czars spoke of coming changes to each state’s program in response to ongoing oversupply issues that are causing problems for cannabis companies. Garza attributed some of the financial difficulties facing small farmers to the lack of vertical integration in the market. Colorado’s market is vertically integrated, for example, and if a grower has a retail license, it’s allowed to sell product in a store. “There’s a lot of difficulty in the industry … but I’ve never heard a consumer complain about the system we set up in Washington,” Garza added. Marks said he expects more discussion about capping the number of cannabis business licenses in Oregon through legislative action. “There’s a lot of competition. There’s a lot of distress. A lot of retail outlets. Low prices,” Marks said. Marks also said he has seen an infusion of capital into Oregon cannabis companies from investors who believe marijuana will become federally legal. What a crock. MJ should be down to like 1-2$/gr, NOT 10$/gr! Are you trolling? It costs more than $1 to even grow a gram of flower. Everyone involved would go out of business at those prices. Remember the producer only takes home ~1/3 of the shelf price in most cases. You can find quality $100 ounces out there which definitely beats black market pricing. That’s funny hey buddy let me tell you something about a month ago I bought a 15 pound watermelon for seven bucks let that sink in smarty-pants … And don’t even try to tell me there’s some sort of miracle growing system that makes marijuana so hard to produce it isn’t and there isn’t, I could teach a child or the elderly myself in less than a month how to do it on an expert level… set me up and test my theory ( absolute truth ) if you don’t believe me. A pound of trimm from your friends closet. You did not purchase at a retail store in Washington state. Oregon maybe not in WA. …a watermelon? Are you seriously comparing growing Cannabis to planting a watermelon seed outside and watering it? Your comment is so stupid I dont even know why I am responding. You are deliriously ignorant pal. Is there a chance any growers are interested in a direct-market solution that leverages a network of physicians that are interested in referring directly to a single reliable and reputable source? These would include a couple hundred chronic patient referrals, statewide, per week. I think that kind of stability would go a long way and I know my team of docs has been waiting a long time. Would love to discuss. You are crazy thinking cannabis at 1-2$ a gram. Electricity, building rent, emoyees, 60% Gross sales tax-Taxes with Zero deductions, insurance packaging. Now try to make any money at growing. Why am I still treated like a potential shop lifter when your silly rules insist that I may be old enough to buy it but I can’t touch the multi sealed package kept behind the counter. Does my local liquor store prohibit me from taking a bottle of Bourbon off the shelf and taking it up to the counter ? Ok, I’m def keeping an eye on this one. What a great idea. Let’s hear more! As many other WA residents will no doubt agree, Garza’s not hearing anything negative because he’s not listening and doesn’t care what residents think. The Board’s no better, if consumers send them emails they simply don’t respond. I know because I’ve tried. Consumers screamed when the LCB tried to shut down edibles and they’ve been screaming about not being able to grow at home since day 1. I hate to say it but the LCB is just about as tone deaf as an agency can be, Mr. Garza proves that all by himself. The legally licensed “small” growers have been pushed out of business in Washington. It is time for some fairness to be allowed and this initiative would due just that! Peace all ways . . .
Bump Bump-Bump Bump*Go to Underground, Bump Bump-Bump Bump*Go to Underground. Wasn’t that a song? Curious as to what a small grower would be defined by the law? May a small grower own a lot of small grows? I don’t know about other states however I think a legally allowed home grow would certainly be popular in Washington State. If high quality low price dispensaries like the OZ dispensary in Fremont have room to make a reasonable profit I’d be happy to keep goin there really. Wouldn’t hurt to allow a social aspect to the dispensaries i.e. cannabis lounges/clubs. As a Washington State cannabis consumer I demand much, much lower prices on quality cannabis products!! I have medical conditions I need it for and can only afford a little bit a month as I’m such low income. Allow home grows! Cannabis saves lives! Quit taxing the hell out of it!! The consumer would definitely have an issue if they knew the retail shops are 3x(sometimes 4x) the sales price. Small growers are being run into the ground because the state has given all purchasing power to the retail shops, not the consumers. The retail shops are a growers ONLY sales outlet and are driving wholesale prices into the ground while still maintaining, and in some cases, increasing retail prices. It’s so backwards. This guy knows exactly what is going on in the industry preach brother preach. The article must be referring to medical, because non medical adults cannot grow at the current time. HB 1131 and SB 5155 now in the Legislature would change that , but Industry players are already pushing behind the scenes for language that would require purchases through the LCB system, not simply allow them. BTW, in the first hearing on HB 1131 on Jan 21, LCB spoke AGAINST passage of home grow. Patients already MAY purchase from licensees. Perhaps Garza and the Legislative liaison are not communicating clearly. Horsehockey Klinger. They flooded the market with 5052. There is definitely vertical integration in Washington state. Many of the pot shops are owned by mothers, aunts, friends of conglomerate Tier 3’s. They don’t advertise it, pot growers are the best at keeping secrets. But try selling into those stores and it’s about impossible. Look at the traceability records and see that their inventory only comes from a few certain farms. Vertical integration is alive and thriving in Washington state. gheez!! The only way a Tier 1 can survive is by selling direct to consumer to avert the capital-American-way-illegal relationships just to be American capitalist. The WALCB is entirely run like a communist state. Rick Garza has never heard a consumer complain about the system set up in Washington? That cannot be true. I have complained. People complain about the lack of pesticide testing all of the time. The patient community complains about the lack of appropriate products all of the time. WA needs to revisit its tax structure and stores need to quit the 3.5 x 4 x markups. I NEED TO KNOW THE NAMES OF GROWERS OF MARIJUANA IN YOUR STATE AND ALSO SURROUNDING AREAS THAT I MAY BE ABLE TO BUY SHARES IN. THE MEDICAL MARIJUANA AND ALSO THE BEER COMPANYS GROWERS. ASSISTED LIVING FACILITY IN A PRIVATE ROOM. I DON’T HAVE THOUSANDS OR EVEN HUNDREDS TO BUY SHARES, BUT IF ONE IS SELLING FOR $3.00 OR $4.00 A SHARE I COULD BUY $200.00 IF YOU THOUGHT IT WAS GOING TO GROW. THANK YOU — I BOUGHT 45 SHARES OF XY-XYO ABOUT SEVEN MONTHS AGO, I HOPE IT HAS A GOOD FUTURE! I AM ON FACEBOOK. I don’t honestly know what exactly there is you have to do “laws” wise but there is a huge gap between consumer and producer. And in some cases even consumer and the person handing them this “drug”. And if Washington state was really as progressive as it says it is they would atleast be open to the idea of allowing people to decide for themselves. I’m sorry but you can’t be progressive and still want to keep people in a box, if you’re really wanting to make your money out of it why not tax on those making a lot more. Like the big farms and the big companies allowed to produce so much at such a low cost that’s its running small business owners out of production. Make Washington not only a role model state in the cannabis industry but just a more realistic industry when so many other can benefit it too. I just feel like there are already so many trumps out there in this world and he’s already head of our country and Washington state was supposed to be different. That’s why there are so many states that are watching what we’re doing right now. Why not let people with actual experience in this be a part of the real conversations that are making all these regulations and “standards” happen, something the people in office do not have. I’m sorry but not everyone can be good at everything. And I’m sorry but the best weed in the world isn’t always the largest and biggest plant that’s out there in the garden. This would stop retail stores forming cartels and demanding low prices for quality product. It is bascially blackmail, build a quality brand in i502 and watch unscrupulous retailers devalue your product. Retailers expect the producer/processor to always take the hit while they make their 3-4X markup. It costs about $1/g to grow quality weed, have it tested, package & label it in retail size packs (mainly 1g & 3.5g) and deliver across the state. 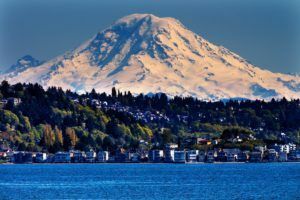 We are based in Olympia and deliver weekly east to Spokane, north to Blaine, south to Vancouver and everywhere inbetween. We dont just grow weed and blast oil, we are also a transport company. Many hours, lots of miles (rain, hail, snow or shine) and wages. We would happlily sell direct for under $4.90/g for quality indoor weed at our front door. This is a win for the consumer, low prices are maintained and struggling P/P’s may achieve some ROI. We would be equally happy to work with our loyal retailer network who have supported us since 2015. We get to decide who stocks our products and not be in a constant race to the bottom to stay in business.